A U.S. Air Force pilot and a Marine Corps aerial observer missing in action from the Vietnam War have been identified and are being returned to their families. 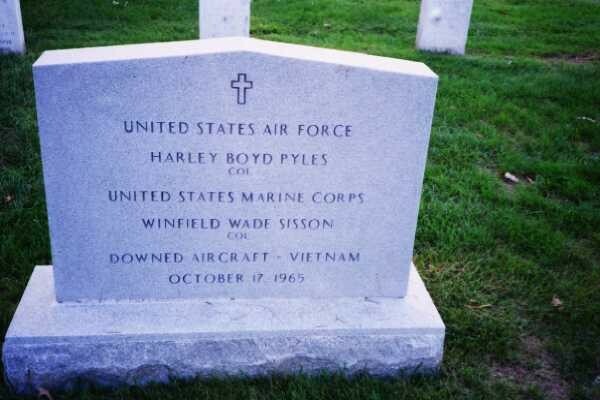 Identified were Air Force Colonel Harley B. Pyles of Enon, Ohio, and Marine Colonel Winfield W. Sisson of Berkeley, California. "The support of the Socialist Republic of Vietnam enabled us to account for these servicemen, and we look forward to continued cooperation," said Alan Liotta, acting deputy assistant secretary of Defense for POW/Missing Personnel Affairs. "Achieving the fullest possible accounting of Americans missing in action is of the highest national priority." On October 18, 1965, their O-1E Bird Dog aircraft encountered low-level cloud cover and rain en route to Da Nang Air Base from Kham Duc, South Vietnam. About 10 minutes out from Da Nang, Pyles attempted to make radio contact with the control tower. No further radio transmissions were received, and their aircraft failed to return to any base. An aerial search was initiated hours later and continued for seven days but was ended when no evidence of the men or their aircraft was found. remains. TheVietnamese government obtained the remains as well as an identification tag bearing Sisson's name. These remains and material evidence were repatriated to the Central Identification Laboratory Hawaii (CILHI), where the forensic identification process was conducted. In June and July 2000, a joint U.S./Vietnam team excavated the crash site where they recovered remains and personal effects as well as crew-related artifacts. Fragments of prescription sunglass lenses, consistent with the eyeglass prescription noted in Pyle's medical records, were among the artifacts recovered. Analysis of the available evidence suggests that Pyles and Sisson died in what is now Thua Thien-Hue Province, Vietnam, when their aircraft crashed on the side of a mountain. There is no evidence that either man survived the crash. Human remains were recovered by local villagers who scavenged the crash site, as well as by CILHI personnel who excavated the site. Some of the remains were confirmed to be those of Pyles and Sisson on the basis of dental records and DNA analysis.